It’s been over a month since I started at Brilliant and time to reflect. I came into the role of Account Manager with an open mind and very few preconceived ideas for what it might be like. Like a lot of people, I love food and I spend a lot of time on social media, as a captive audience member and for work. So, I was curious, excited and enthusiastic to get started. Starting a new job can be nerve-wracking but as soon as I stepped in the door I felt at home. I’d already been invited out for getting-to-know-you drinks with a few of my team before I’d even started (nice touch, guys). On my first day in the office, Jonathan recognised me from a previous life, working in Manchester Topshop at the age of 17 (small world!) Lucinda dove straight in for the hug (she’s definitely a hugger). And Joe got me straight on the coffee train (he knows). Right now, Brilliant is a small and perfectly formed team of 12 – and we’re growing. We all have our own skills and experience, which come together to create a pretty special offering for our clients. We’re given support and autonomy in equal measure, which allows creative ideas to really develop and grow into something awesome. I’ve been busy, in the best way possible. Already, I’ve had the opportunity to get stuck into some great campaigns. 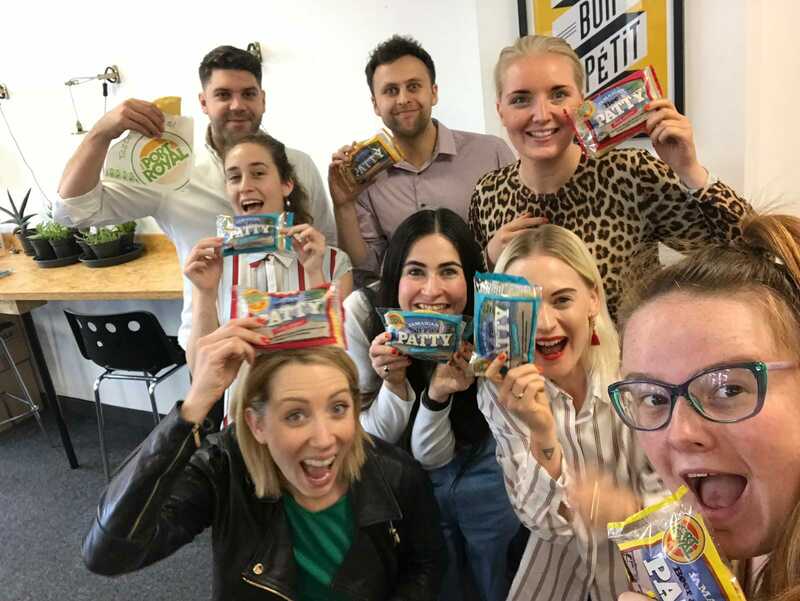 With Northern Bloc, we helped to tell the story of their recent #IceCreamForAll Crowdcube campaign (which they ended up overfunding and closing in just 10 days!) I loved working on it. We got to dig deep into what they stand for, where they want to be and the team are are driving the company forward. They’re an ambitious, creative and forward-thinking crew – so, profiling them as a whole and as individuals was a pleasure. We also got to try out some Port Royal Patties – a new client starting in 2019… and a good excuse for an impromptu team pic for this blog! I’ve also been working with Vocation Brewery, on a campaign to promote their Life & Death IPA. We’ve taken the concept art from their can – which has some, at times gnarly and at other times beautiful, illustrations – and turned it into an origin story of epic proportions. This has been a really inspiring process, working with a very talented team to produce motion, graphics. photography and copy that springs to life across platforms. Their Instagram grid has been transformed and engagement, since the campaign began, has rocketed across social media. Our Senior Designer, Jonathan reflected on the creative concept for this campaign in his blog. Give it a read for the bigger picture of what went into this creative. We’ve also grown the Brilliant family with a new client! 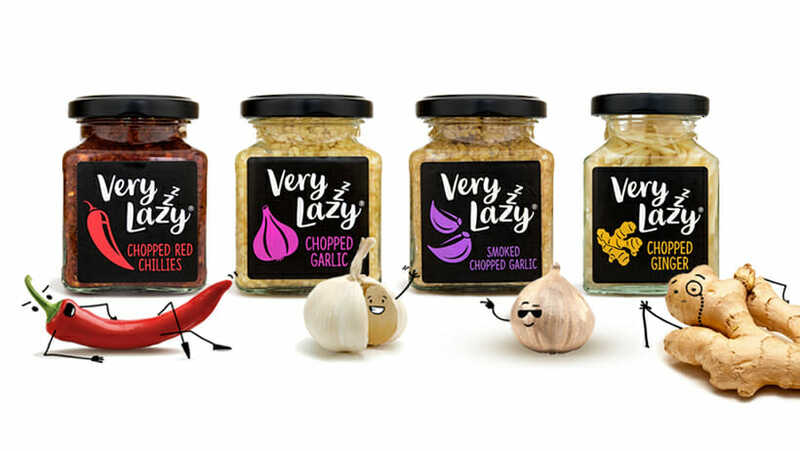 Very Lazy (of chopped garlic and chillies fame) have come to us to shake things up. The campaign we’ve launched showcases their brand values and their personality. It’s fun and it’s relatable – and the Very Lazy team have been key in allowing us to really push boundaries with where we want to take them. You can follow them here, here and here to find out for yourself. My Top Five (best bits / things I’ve learnt / stuff I’ve done). Always add value. Brilliant believes that anything you create must add value. To our brands and their audiences. Social media can have a negative impact on people’s lives when used irresponsibly and we never want to be a part of that. We’re here to create a positive space, where brands and their audiences can connect. Every client, inside and out. Being aligned with our brands is a real priority. We don’t work for them, we collaborate with them. From the moment we start, we become an extension of their business because everything we do has to be authentic. Podio! Without sounding like too much of a nerd, it’s the best damn digital workspace I’ve ever used. A magical place where planning, ideas, creativity and people all come together to make things happen. And the best bit, our clients love it too. New Pals… what a cheeseball. But seriously, the Brilliant team are great and I’m having a lot of fun working here. I think I’ve cried with laughter every day since I started. But more than that, I feel inspired by my colleagues and our clients, it’s a very creative and fast-paced environment – never a dull moment. Someone always has an answer. No matter what comes our way, there will be someone in this office that can turn; that random brief, that unseen obstacle, that opportunity to experiment – into something brilliant.